It is always the same step, but you have to take it. John Buchan wrote The Thirty Nine Steps and many other thrillers set in the era of the Great Game. They are classics of a kind, but very much of their time – xenophobic, colonialist and chauvinistic at their best. I was struck recently by an article claiming that Buchan’s writing exhibited a ‘Christian existentialism’. My understanding of this was that unlike the country house mysteries of Agatha Christie, there is no question of whodunit. Instead the hero of a Buchan novel knows very well that he is running for his life. The question is one of survival. Also, unlike the country house mystery, there is no cosy coterie of neighbours who are all potential suspects. Instead it’s almost always one or two plucky heroes alone against the perilous world. This is an individualist quest for salvation. I found it amusing to imagine the great chases through the Scottish Hills as a kind of Pilgrim’s Progress on steroids — and with much higher stakes. I stood in a bookshop recently for considerably longer than planned, to skim through Peter Sloterdijk’s book You Must Change Your Life. Sloterdijk is a German TV presenter and philosopher who seems in recent years to have taken on the mantle of the greatest living prophet of European philosophy. He seems much more conservative, however, than that other chief contender for the title, Alain Badiou. He is also both a follower of and a challenger of Nietszche. There is a great deal of interesting stuff in YMCYL, far more than could be accessed in a few minutes standing at a book shelf (see this review, for instance). But the basic idea is that Nietszche’s death of God was perceived as a tragedy, because of the realisation that there is now no-one to tell us how to live our lives. The only thing we have left is the obvious feeling that we could be doing it better, that improvement of the self is not entirely beyond our reach. Between Nietszche’s time and ours, says Sloterdijk, there has been a great proliferation of training regimes, schemes to help us to live better. We look to all sorts of teachers, trainers and gurus to learn the right techniques. He presents a brief typology of these in his book. In fact, he says, we are living in an era of ‘anthropotechnique’, in which we are encouraged to improve systematically. Actually, though, he claims, we were always doing this. Religion never really existed. Religious leaders were always what we would now call ‘personal trainers’ and religions were never anything but misunderstood training regimes. Unlike Nietszche, Sloterdijk very much approves of Socrates and Jesus in this respect. Indeed the idea of religion as personal training regimen makes some sense. One thinks of the Rule of St Benedict, of the Ignatian Exercises, of the Methodist class. Certainly training the self has been an important strand of Christian piety. There is a lot to like in Sloterdijk’s approach. Gretchen Rubin has recently published a book called Better than Before: Mastering the Habits of our Everyday Lives. After reading Sloterdijk it’s hard to avoid seeing such a title as the latest in a long line, not just of self-help books, but of spiritual exercises along the lines of Sloterdijk’s claims. Where I would take issue with Sloterdijk, however, is with his belief that we are now secular and that our secularity can be projected backwards into the religious past to make sense of it. I don’t believe that religion never existed. Actually, I’d argue the opposite. It’s not that religion never existed. Rather it’s that secularism does not and will never exist. At least, to be less sweeping than Sloterdijk, religion never really seems to go away, does it? It just mutates into something less incredible, more acceptable and self-evidently true to the culture. For example, in John Buchan’s novels, secular heroes in pursuit of secular aims find themselves recapitulating the (existentialist) Christian quest. The age-weary theme of personal salvation mutates into the plot of a best-selling thriller. I do agree with Sloterdijk that these days, personal training, self help, is our common religion. And like all great religions, it only works when we see it as nothing more or less than practical common sense. Whereas Sloterdijk claims it was never religious, so religion can’t be on the return, I would claim it was always religious, so religion was never on the wane. So why does this matter? If Sloterdijk is right about religion, that it has always been all about training, we should probably be satisfied with our lot. Membership at the local/global gym, lifehacking websites, books like Better than Before are the best we have any right to expect. After all, if God is dead, anything is permitted to be mediocre (to misquote Dostoevsky). This line of thought seems reminiscent of mid-Twentieth Century social democracy – the kind that was content to put up identical rows of cheap concrete tower blocks in place of the great buildings that both sides in the war had bombed – and without a hint of shame to call it progress, the very definition of the word modern. But if I am right, on the other hand, we should expect much more of our contemporary and emerging religion. The old religion included plenty to be critical of but at least it was impressive. If, now, training is all, we should set much higher standards for our present day training regimes. In place of the Ten Commandments, we have accepted seventeen rules for a flatter tummy. This is an aesthetic and moral capitulation. To give up St Peter’s Basilica and trade it in for a Fitness First gym on every corner doesn’t seem like a good deal to me. I’m not saying the Ten Commandments and St Peter’s are presently fit for purpose. I am saying that what has replaced them barely is. Ironically, then, it seems I still haven’t found what I’m looking for. When it comes to the religion of our time, I still believe we can, collectively, be better than before. Note: I have been testing out Dave Winer’s new blogging platform, myWord.io and making it an excuse to learn MarkDown. You can check out the result if you like. Just about to write something about the recent restatement of the Catholic Church’s opposition to the ordination of women – I realised, effectively, I already had. Add only this: it’s not actually very easy to be excommunicated from the Roman Catholic Church. Few people have ever met anyone who has been (militant atheists have been trying it recently, with limited success). This is because exclusion is a very uncharacteristic measure for a hierarchical organisation. It sits rather better with Egalitarian organisations which have no other sanctions against persistent dissenters. Indeed, for hierarchies, exclusion makes almost no sense, since one thereby excludes the wrongdoer from punishment. Note that in describing excommunication theological commentators sometimes refer to it as being of medicinal benefit. It supposedly encourages the wrongdoer to realise the seriousness of their offence and thence to repent and return to the fold. So, far from being another indication of the terrible hierarchy at its terrible worst, as some commentators have suggested, the restatement of the Church’s willingness to excommunicate those attempting the ordination of a woman is really more evidence of just how far Egalitarianism has made inroads into that most hierarchical of hierarchies. Lacking other more coercive sanctions, the Church is reduced to fighting Egalitarianism with its own weapon, exclusion. But the excluded who won’t repent don’t merely vanish. These days they turn up in America where they take a largely competitive, Individualist approach to religion: if you can’t join them, beat them. Does it seem unlikely that a small group of women could change the church’s longstanding practice? Perhaps these women and their supporters might take a little encouragement from the story of Mary Mackillop, the Nineteenth century Australian nun who was excommunicated for inciting disobedience. In October 2010 she’ll be made Australia’s first saint. An article in the New York Times, In Search of the God Gene, flies a kite for religion as an evolutionary benefit. But it takes a very particular view of what religion amounts to. According to the article the traits regarded as religion are those that promote a [high-group, low-grid] egalitarian society, but then also those which favour a [high group, high grid] hierarchical society. However, the view that these cultures are the most effective and therefore the most likely to be selected for in evolutionary terms does not stand up to scrutiny. It begs the question of the relationship of nature to culture. Neither does it take account of the possibility raised by Cultural Theory of [low grid, low group] Individualist, or [high grid, low group] Fatalist religions and religious practices. No organised religion in the world today is claimed to have lasted more than 40,000-60,000 years. Most are far, far younger than this. Indeed we could characterise religion itself as a very recent phenomenon, far too recent to have affected evolution to any significant extent. Supposedly timeless ‘Religious’ practices such as ritual dancing or induced trance states are so general as to transcend any useful definition of religion, or else not actually necessary for a definition of religion. The evidence cited in the article itself contradicts the claim that religion helps societies to survive over generations. Note that far from being static, the religious activities identified in the NY Times article change and involve discontinuity. Communal religious dancing floor, ancestor cult shrine, astronomical temple – it is our modern category of religion that links these structures, not the experience of those societies which changed, perhaps drastically, from one to the next. What seems to be selected for, if that is the right term, is the ability of humans to abandon their religious beliefs and practices and adopt different ones, often radically different ones. Apostacy seems to be the intergenerational norm, and even loyalty as the intra-generational norm can take a big hit from time to time. 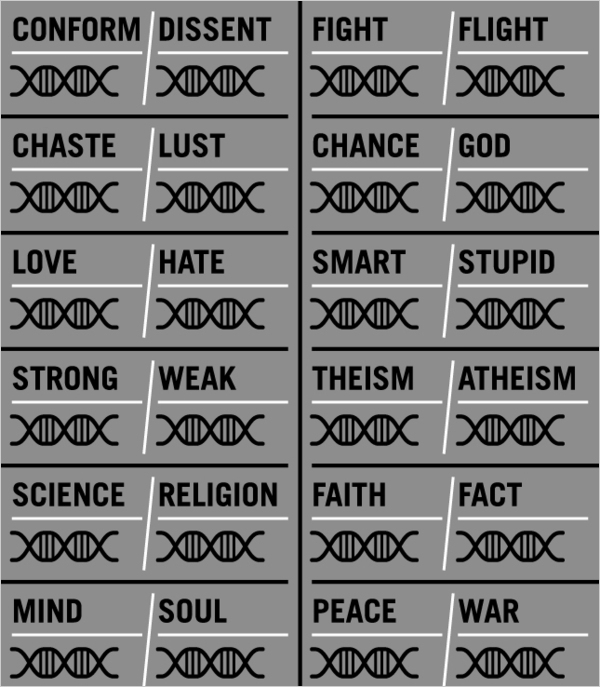 Letters of reply to the article were interesting, with some supporting the alternative view that religion is a byproduct of evolution, not a factor, and others pointing out that many ethically questionable human behaviours can be seen as adaptive. Philosopher A.C. Grayling writes about the illiterate roots of religion. The ‘roots’ of religion may be illiterate, but this is hardly a cogent argument since the roots of everything, including writing, are illiterate. In a recent post about the profitability of online social networks in the US, China and Japan, venture capitalist Bill Gurley presents evidence that the more financially successful social network sites are those that downplay advertising revenue and focus on revenue from virtual goods. He points out that Users in Second Life are doing $450m annually in this business and taking out of Second Life $100m a year. It came to my attention recently that there are still churches which don’t let women preach or lead worship. Individualist – ‘work out your own salvation’ (become more like the new age and construct your own tailor-made religion out of bought pieces. Leaders are entrepreneurs). Is it misleading to say there probably isn’t a God? The Atheist Bus Campaign story just keeps rolling along. The latest is that after more than 400 complaints, the UK’s Advertising Standards Authority is considering an investigation. Meanwhile in Australia no such problems have been encountered, since the advertising industry is already censoring itself by refusing to work with anti-God ads. It seems the ASA may be putting itself in the unenviable position of ruling on whether the claim that ‘There’s probably no God’ is misleading. To help the process along I can definitively advise that there is in fact a God in England and he has been located in Oxford, York, Manchester, London and Chester (see image), as well as at a number of places in Northumbria. This is obviously bad news for atheists, but it may be equally bad news for Christians, Jews and Muslims. The God in question is none other than Mithras, the subject of a popular ancient Roman mystery cult. In fact, evidence of his existence is to be found all over western Europe. Paganism was banned in 341, but London’s Mithraic temple is due to be re-established by developers in 2009. There is a serious point to this: by denying a certain type of god, contemporary Atheists risk lending that god some backhanded credibility. There is no scientific evidence for the existence of Santa. However, this is not taught in schools, and teachers who do cast doubt in children’s minds are suitably punished (i.e. removed). It may be true that every year the white bearded one is detected in North American airspace delivering presents by sleigh and given a welcome by fighter interceptor planes, but Youtube footage is unconvincing. Richard Dawkins, for one, has never received presents from Santa. He maintains this has nothing to do with his inability to be a good boy for a whole year, and it is difficult to argue that it might. Here’s a nice piece of research on the issue of what children learn and unlearn about Santa. Please note: I made up the bit about Richard Dawkins.